AliExpress Shopping Festival - New Creative 50% OFF Sale Items and more! 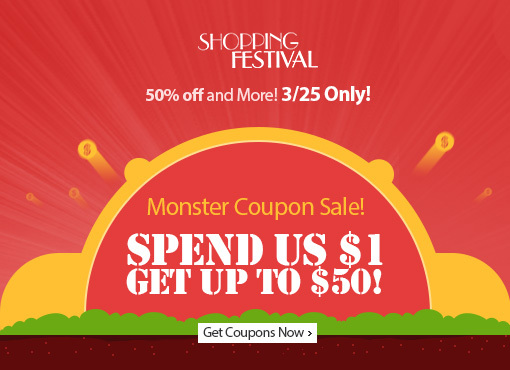 Enjoy the Shopping Festival on March 25th, monstrous savings on millions of products 50% Off items and more to sale. It is ONE DAY sale! They offer almost everything from suits, sports wear, dolls, faucets and juicers to necklaces, bangles and satellite TV receivers. It comes from over 70,000 suppliers and manufacturers. Hurry up start shopping now! Clearance sale just for 48 hours only, and get special saving 50%-70% Off on hundreds of items and also get free express delivery on all orders over $80 at Box13. They provide the latest range of clothing collection t-shirts, hoodies, shoes, accessories and action sports hardware from the leading brans skate, urban and surf brands at affordable prices. Check below to view more offers and huge saving. Hurry, grab to them now before they are gone! Enjoy saving 56% off for a Four-Hour Whale-Watching Cruise for One Person with Go Whale Watching, Darling Harbour (Sydney) just pay for $35 at Groupon. See the sights of the Sydney Harbour before heading out to sea. Ranked on Tripadvisor as the #1 attraction in Merimbula. Guaranteed to see whales or a free return cruise given. Purpose-built boat designed to carry 75 people. Please, be quick! The early bird has arrived, Qatar Airways have fantastic deals for travel 1st - 7th April 2014 / 13th July - 10th August 2014 / 11th - 30th December 2014. With great deals return flight as low as from £360, you’ll be spoilt for choice with world-wide destinations on offer such as Dubai, London. Get special offering when you buy 6 bottles of Penfolds Kalimna Bin 28 Shiraz on special for $27.50 each and you also get a free bottle of Bin 2 (worth $30) for each 6 you buy from Danmurphys. Hurry up stocks won't last! Save 53% OFF Geoff Hardy Premium Dozen at Crackawines.com.au. Enjoy and get special offering 53% off geoff hardy premium dozen showcasing a diverse selection of wine hits. In amongst these vinous goodies they have a 95 point McLaren Vale Shiraz; a delicious 94 point Langhorne Creek Malbec; a rich 93 point Aglianico (one of Australia's best examples) plus an intriguing, 94 point scoring Noble Verdelho. Not only does this dozen offer quirky, high quality wines but it is very well priced too - just $12.99 a bottle from Crackawines. Hurry up! Find all the latest offers and great top deals with great prices from £8 per route at a limited time at eDreams. They offer flights, hotels or holiday packages in 30,000 destinations around the world. Hurry find your suit day to book now! Special offering 33% off ASUS VivoBook Intel Core i3 4GB Memory 500GB HDD 14" Touchscreen just pay for $399.99 plus free shipping at Ebay.com.au. Features 14 high-definition touch screen, Operating system windows 8 64-bit, CPU Type Intel Core i3-2365M 1.4GHz, Memory 4GB DDR3, Hard Drive 500 GB 5400 RPM, Bluetooth, HDMI, USB, Wireless LAN and more. Please, be quick! Special offering and the best prices offered on all your flight booking, you will get £35 off Flight Bookings at eDreams.co.uk from 10 March to 24 March 2014 at the minimum value £275. They offer customers over 60,000 flight routes from more than 100 airlines, and over 150,000 hotels in 30,000 destinations around the world, as well as vacation packages and car rentals. Hurry up to book now! Fantastic saving up to 70% Off Cook the Ideal Easter Dinner at Gilt.com. There are top designer kitchen appliance of selected food processor, poweredge blender, multicooker, espresso maker, touch screen induction, cookware sets, pans, pots and many more at lowest prices. Click below to view more offers and huge discounts. Hurry, grab to them now before they're gone! Get special offering with Glassons'range of cardigans for women just for only $24.99 each. Check here to view more offers and saving. Be quick stocks won't last! Get the fashion frenzy All Denim & Chinos Half Price at just $31.50 and also another offers including $10 tees, $25 sweats, $50 jackets, outlet with nothing over $20 plus free delivery on orders over $50 from Hallenstein Brothers. You can also get discount code 25% off from link below. 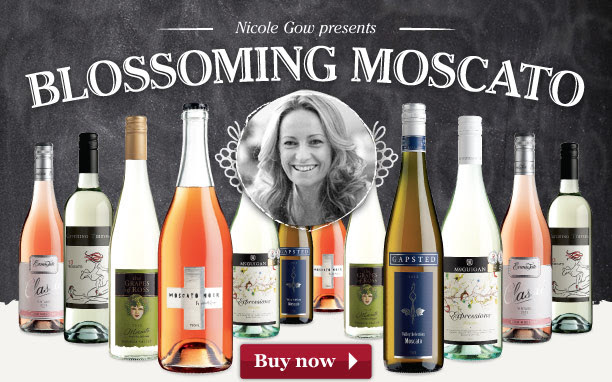 Get special for weekly with huge save $55 off Blossoming Moscato dozen $167.88 for only $13.99 a bottle at WineSelectors. Blossoming Moscatos to fill your glass with fruit and flowers. Includes Gapsted Valley Selection Moscato 2012, Lisa McGuigan Moscato Noir NV, The Grapes of Ross Moscato 2013 and more. Hurry up! 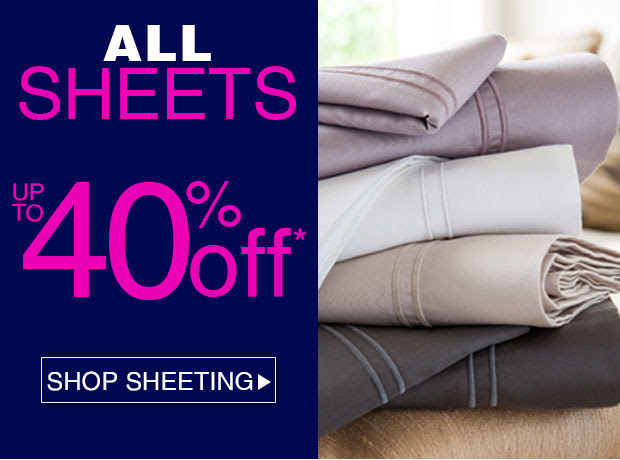 keep your warm and cosy sheet sets in gorgeous designs with massive saving up to 40% off all Sheets sale at Ezibuy. There are beautiful top quality bedroom, bedding & linen. Hurry up while stock last. Treat little feet with selection of the best kids designer shoes and trainers, get 20% off kid shoes and trainers. Give them a serious step up in the style stakes with smart shoes from Paul Smith Junior, Fendi and Lelli Kelly and choose the coolest kicks from Nike, Vans and Converse plus shop the new fashion arrival for your fav from AlexadAlexa. Hurry up while stocks last! Enjoy and get special offering up to 70% off babies sale section for boy and girl and also ger free standard delivery on orders over £100 from AlexandAlexa. They offer baby international fashion, sportswear and toy brands, from the traditional to the cutting-edge, via worldwide express delivery. Check here to view more offers and savings. Get huge saving up to $90 off Marc Jacobs & Carrera Sunnies plus free delivery at GraysOutlet. They provide big brands with fashion styles sunglasses for your selected at the best price. Click below links to view more offers and saving. Hurry offer ends soon. Get your favorite and amazing up to 70% off red wine clearance sale plus free delivered just for 48 Hours only at Winemarket. They offers wines in the mix are Shiraz, Merlot, Cabernet Sauvignons, Pinot Noirs and a stack of amazing red blends. This is one of those unique opportunities to really stock up at a incredible discount pricing, so please, don't delay. Get some red wine bliss in your life. Special offering up to 60% off perfect dress, separates, shoes and accessories for all your posh dos, from major brands including Lipsy, Three Floor and AX Paris just 24 hours only from Asos. You can also get discount code 10% off on orders over $75 from link below. Special offering 77% off Personalised Photo Books (Australia - Nationwide) Create a Personalised 20, 50 or 80-Page Photo Book from just $7 at Livingsocial. Take full creative charge and upload your favourite pictures. Images are printed on luxurious 150GSM paper. Plus choose your fave picture for the cover. Delivery fee of $4.95 applies per voucher. Get in quick! Enjoy delicious and saving 59% off Four-Course Dinner with a Bottle of Wine for Two at the 5-Star Swissotel's Just Pure Bistro (Sydney) just pay for $79 only at Groupon. Choose from a menu including prawn salad, pork belly and barramundi. Dark chocolate mousse for dessert. Fresh, organic and locally sourced produce. Please, be quick! Get your favorite laptop or tablet ship in 48 hours with free shipping to your door. Great news A Qantas Global Flight Sale is on now! 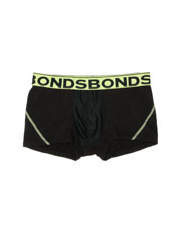 Special offering and much bigger range 40% off full price children and men's Bond underwear, socks and clothing from Myer. So you can stock up on your jocks! Get the special offering 30% off storewide valid in-store and online on full priced plus free shipping on orders over $100 from Katies.